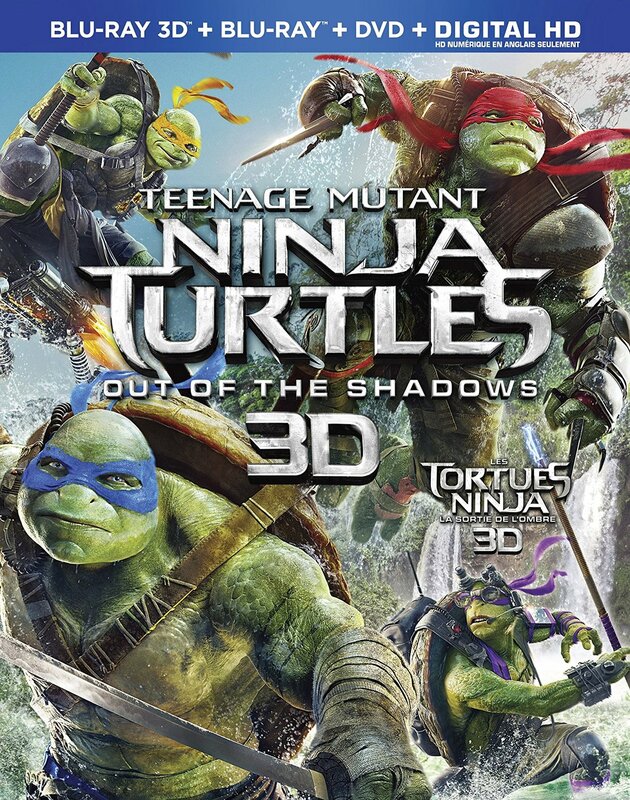 When notorious supervillian Shredder (Brian Tee) escapes from custody and teams up with mutant henchmen Bebop (Gary Anthony Williams) and Rocksteady (Sheamus), it’s up to the sewar-dwelling turtles Michelangelo (Noel Fisher), Donatello (Jeremy Howard), Leonardo (Pete Ploszek) and Raphael (Alan Ritchson) to take them down and save New York from an otherworldly threat, with help from reporter April O’Neil (Megan Fox) and hockey-playing vigilante Casey Jones (Stephen Amell). Although by no means great – the alien villain Krang (Brad Garrett) is grotesquely designed, visualized as a disembodied brain, and Megan Fox’s character still often feels overly sexualized in her appearance – Teenage Mutant Ninja Turtles: Out of the Shadows is actually a slight step up from its 2014 predecessor. This sequel is passable for what it is, a hyperactive and relatively harmless action film that will play especially well to its target audience of easily satisfied kids. The 3D presentation actually ups the minor entertainment value of the film, displaying a nice sense of depth and allowing objects to pop off the screen during the countless set-pieces. The Blu-ray also includes three deleted scenes, the four featurettes We Are Family, Whoa! Expanding the Turtleverse, House Party and It’s Tricky: Inside the Van, as well as a brief highlight reel showing the progression of the visual effects and a look at some of the easter eggs hidden in the film. Teenage Mutant Ninja Turtles: Out of the Shadows is 111 minutes and rated PG.